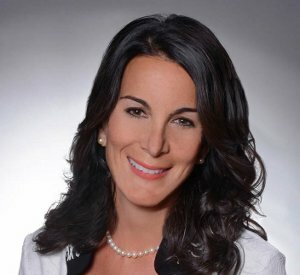 Jodi Amendola is the CEO and co-founder of Amendola Communications, a national, full-service healthcare/healthcare IT PR and marketing agency. For more than two decades, Jodi’s leadership, expert strategic counsel and project implementation have helped drive sales and position clients as market leaders. Amendola Communications has been ranked as one of the information technology (IT) industry’s top five “Best-of-the-Best” PR agencies four times by PRSourceCode. Jodi has also been personally recognized year after year as a “Top PR Pro”. In 2009, she was named an elite Forty-Under-40 business leader by the Phoenix Business Journal and she is a founding board member of X2 Health Network, an exclusive executive women’s health network. Jodi is a hands-on leader providing strategic direction and ongoing involvement in all phases of client public relations, social media and content marketing programs. She has helped companies of all sizes and stages increase brand awareness and thought leadership and has strategically positioned them for acquisition, an initial public offering or organic growth. She has led campaigns for industry giants and start-up companies, including Cisco, Intel, TriZetto, Allscripts, Medicity, Awarepoint, Eclipsys, iSirona (now NantHealth), Health 2.0, multiple McKesson business units and many others.